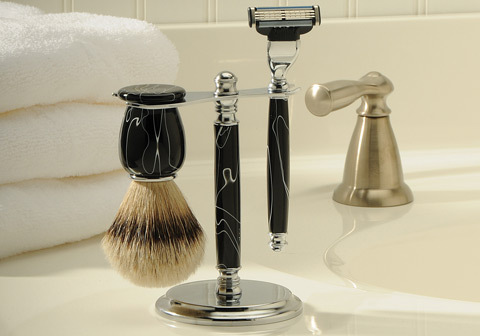 We offer several types of razor kits. We also offer stand kits for storage. They are turned on our pen mandrel using the appropriate busings.